SYMBOLIC? 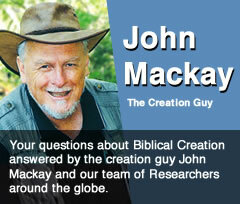 Surely Genesis is just a symbolic account of creation with the point being God did it. 1. How do we know when words are symbolic? For example: a teenager can say “that was wicked!” when they really mean “it was great!” and yet their youthful colleagues will know what is meant. What clues tell us one word is actually code for something else? 2. Are any words in Genesis 1 symbols? For example, it may state God created in six days but does it literally mean six days? 3. Why do people suggest Genesis is symbolic in the first place – what is the motivation here? Any linguist can tell you that nouns or naming words (such as Adam or day) can only be used as symbols for something else, only after usage of the word has become widespread and its has a widely understood literal meaning. Consider the word radar. This word started out as an acronym for RAdio Detection And Ranging, referring to a system of electronic devices and antennas that was used during world War Two to detect enemy aircraft and ships before they could be seen with the naked eye or heard. Like many acronyms, the name “radar” soon entered the language as an ordinary naming word without the capital letters, and is still used for any electronic device that uses radio waves to locate and track objects, even though the actual sets are now lot smaller and more sophisticated than the large ground based RADAR stations of World War Two. Anyone using the word radar in this context is referring to a real device made of electronic circuits, wires and antennas that generates real radio waves, and everyone understands this even if they don’t understand how it works. However, the association of radar with ‘literal’ early detection led to it being used in a symbolic way. In the TV series M.A.S.H., set in the Korean War (1950-1953), there was a character named Radar. This was not his real name – it was a nickname given to him because he could ‘hear’ when helicopters bringing in wounded soldiers were approaching the camp before anyone else could. Everybody knew he wasn’t a radar set, yet when his name was mentioned, everyone knew who was meant and why. The word radar had moved from a literal noun to being a symbol. By 2013 the symbolic use of the word has moved further away from the literal noun. Suppose the chairman of the board says to fellow board members in private: “Before the annual general meeting, there are a few things we need to sneak under the radar before the public gets here”. Everyone in the room knows there is no literal radar set in the room, nor is there a man who can hear helicopters coming, but the meaning is clear – we don’t want the general public to ‘detect’ that certain things have been discussed and certain decisions made. So the word’s actual history is that the word radar has progressed from a created literal name of an electronic device, to a symbolic name for a person, to an abstract metaphor for detection of anything. Such a progression of meaning is common to all languages whether it is modern English or ancient Hebrew. This progression also shows that the meaning of the symbolic word is rooted in its prior widely understood literal meaning. If the symbol used was not rooted in reality it would not and could not have any meaning. Therefore, when you want to understand why a word is symbolic and how it got to be that way, you must always go backwards until you find its original literal meaning. But you cannot go further back than the beginning. Therefore, the origin of something is always real, and the description of it in is original context has a literal meaning. Now, back to Genesis and our first question: How do we know when words are symbolic? Many want to say the main point of Genesis is simply that God did it, and the Genesis account is simply representative, rather than real history, so the details don’t matter. Are there any problems with this approach? Yes, and serious. Proponents are using the word God as literal, and they are using the concept of creation as a real historical starting point to reach the conclusion ‘God did it’. Yet from verse 2 on they change tactics and move from literal interpretation to a symbolic or metaphoric interpretation of words such as “day” or “night” or “said” or “dust”. To be consistent they must first ask: How do we know if even the word God is symbolic? Perhaps the word God is code for aliens? As you can see, a real dilemma results. Reading Genesis this way actually makes it unreadable. It doesn’t enable you to find the real meaning of Genesis. It totally obliterates any clear meaning it could have. So if we start reading the words literally, do we ever discover the text offers any reason to actually change to symbolic interpretation by the second verse? The answer is definitely not. Whatever means you choose to read Genesis (or any document for that matter) you have to be consistent, or even the atheist will see through your illogicality! Let’s move to the next question: Are any words in Genesis 1 symbols? In verse 5 Genesis 1 tells us “the evening and the morning were the first day”. The obvious face value reading of the nouns in the text is telling us God invented the time unit we call day. We should note that it doesn’t matter what language is being used to describe this invented time unit, whether it is English, or Hebrew, but the fact is that this is an account of the first invention of this thing, i.e. the first time it was brought into existence. Genesis also records that it was the Creator God who gave it a name, invented a naming word, i.e. a noun title for it – a ‘day’. There is no way this newly invented thing could ever have first been labelled with a symbolic term, any more than the name of the first radar set could have been anything other than a created set of literal nouns, which as an acronym gave us the literal noun radar. The record of the invention of the day and the creation of a term to describe it, allows no alternative but that it must to be literal. Even those who claim we are now using later words (such as the Latin die, now the English word ‘day,’ or the Hebrew yom) and applying them in retrospect is irrelevant. The labelling of the time unit ‘day’ as the first ever of its kind is the key. In fact, the principle becomes: When an account is about the origin of some real thing, the terms used can never be symbolic. This is just as true for the big Bang theory as it is for Genesis, which means if the two stories are saying things that are literally different, and they contradict each other, then one can never be a symbol for the other. This leads to the third question: Why do people suggest Genesis is symbolic in the first place? Are there any Biblical reasons, whether starting in Genesis, or moving through to Revelation, that ever show the first usages in history of the nouns or naming words for man or day or night, could be anything other than literal? Again, the answer is no way! The only reasons for making such suggestions always end up being the choice to make Genesis fit a preconceived history of the world derived from pagans, or from evolutionists, or from atheists. This is a bad error. It is time to face up to the fact that it’s hypocrisy class 1! It is time to literally stop, and go around start again. One last aspect of this discussion: Is there ever a time when any words used in the creation account do become symbols, and ultimately end up as metaphors? In the case of the word ‘day’, the closest you get to going from literal to symbol to metaphor is when you talk about the “days of the kings” or “days of the judges”. But since we do really know how many kings or judges there were, such passages still refer to literal times, and never to symbolic time. We find no example in the whole biblical text where the word day even approaches symbolic usage, let alone metaphoric.